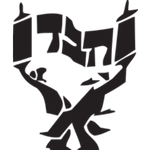 Kiddush Sponsorship About Us Meet the Staff Membership Schedule of Services Our One-of-a-Kind Menorahs! At the core of How Success Thinks are six key productivity concepts, from motivation and goal setting to creativity and relationship building, that explain why some people get so much done. Drawing on 3000 years of Jewish wisdom from the Talmud and Kabbalah—as well as the latest findings in neuroscience, psychology, and behavioral economics—this eye-opening course explains that the most productive people on earth don't merely act differently; they view the world, and their choices, in profoundly different ways.